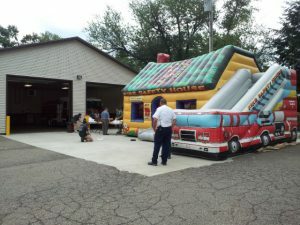 In 2002 Lafayette Township Fire Department formed the Lafayette Township Fire Prevention Bureau. The fire prevention bureau applied for and was awarded a $72,000 grant from FEMA. This grant was used to purchase equipment, supplies and to cover the cost of personnel to perform fire prevention details. As part of that grant the department acquired a mobile fire prevention trailer. 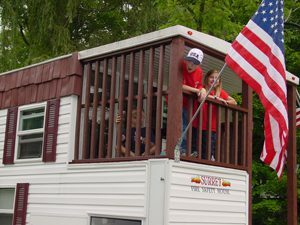 The trailer has the capabilities for both fire and severe weather educational programs. These programs can be as beneficial to the adults as it is the children. The unit is available to be used within the township and surrounding communities for educational purposes at no cost. 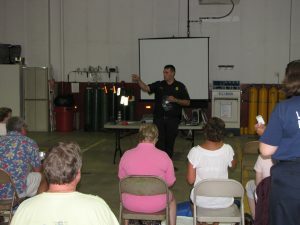 We have preformed educational programs for many events including, block parties, day cares, safety-towns, and many other community events with in the county and even a few outside the county. In addition to performing educational programs, the Fire Prevention Bureau also currently has 8 State Certified Fire & Safety Inspectors. 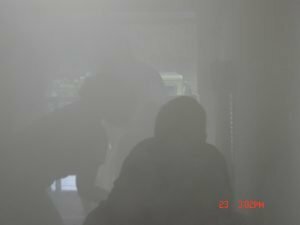 These inspectors perform annual fire inspections at all local commercial establishments insuring all state/local fire and safety codes are enforced.During these inspections the inspectors also prepare and review existing preplans. Preplans are plans used by the department in the event of an emergency. In addition to listing property layouts, building layouts, and building construction type(s), the preplan will also identify immediate hazards water sources, and special conditions. These inspections help insure the public can feel safe while visiting an establishment. The Bureau is also responsible for conducting adoption inspections for families with in the township. In addition to our Fire Prevention Bureau, EMS personnel also provide educational opportunities in different areas including CPR & first aid. EMTs also perform FREE blood pressure checks during daytime staffing hours from 6am to 6pm. 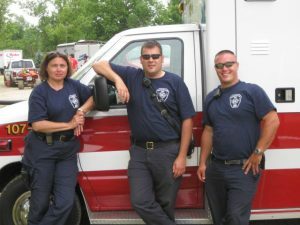 Our EMTs also are also tasked with certain standby events such as Cloverleaf football games and motocross races. If you have any questions or would like to see if our service is available for an upcoming event, please complete the form below.